Are you looking to learn how to become a successful virtual assistant (VA)? Today, we have a great post by Abbey, a VA and blogger. In this article she shares her tips on becoming a successful VA. I would say I became a virtual assistant by accident. I offered to help a few people out, showed them my personal website and it went from there! Now, I am getting ready to sign a 6 month contract with a client. Building my own personal site, business and landing these clients all happened within three short weeks, and it can happen like that for you too! Especially if this is your only focus. If you have any skills you think would be valuable to online business owners and bloggers, don’t hesitate to get started! Before I started my own site, I had always thought of becoming a virtual assistant, but I hesitated because I was afraid of the competition and that I wouldn’t compare to others out there or be able to land clients. Clearly, I was wrong! I started landing paid jobs with very little effort. If I wasn’t so in love with interior design, I would without a doubt turn this into my full-time career. At this point, you’re either eager to figure out how you too can land clients with little effort, or you think I’m full of crap, or maybe I just got extremely lucky. I’m still not sure on that last one, but I’ll tell you my exact steps anyhow. So, what is my secret? It’s all in the rapport. Forget about the marketing, forget about paying money for ads, forget about yourself. Seriously. Do not go after a client by marketing yourself and your services, at least when you’re new. Every time I did this, I didn’t get the client. But, every time I had a conversation and learned my client, their needs, their business, and just sort of chit-chatted and landed on the subject of them paying me to work for them, I got the job. Really, that’s all that went into it. People like people who care about them. Side note: A virtual assistant can make money proofreading online! Check out this free webinar by Caitlin Pyle where she explains exactly how she made a full-time living proofreading online! But where did I find these clients to talk to? I am part of a large Facebook group, where ladies often post about troubles their facing and then looking to hire someone to help. The best part is, when I jump in offering free advice, and helping as much as I can without asking for anything, their mindset was still on hiring someone else to do the work. I’ve gotten multiple clients from this one group that is full of highly experienced women who, honestly, could probably do a lot better than me. What they couldn’t do was be as meaningful in their work. I have found that the best way to be successful is to focus on the client’s needs, and not your own services. Join some Facebook groups and find these people, but don’t push your services on them. Instead, ask more about their needs and offer as much as you can for free. This is tough, and I still have trouble in this area. I do this work mostly to help others, as I already have my own site as a source of income so I keep my prices as low as I can for the work and time it will take. Obviously, this isn’t going to be most people’s approach. I actually started doing VA work regularly after working with one specific client after I realized how great it was to help others the way I helped her. She needed help finishing her WordPress site. We chatted about what it was about, I checked out her website she checked out mine, we talked about how I made my site, and about other virtual assistants and website designers who were messaging her. I treated her like a friend who needed advice and not as a potential client. I was upfront, she knew I didn’t have experience as a VA, but I said I would beat any offer she got since her budget was tight. Her highest offer was $700! I did it for $70. It was super easy work, and I cannot believe she didn’t get offers lower than that. It only took me at most 3 hours.. I came across another potential client, and I used the same line of beating any offer she got. That’s when I realized this can easily come off as desperate and how not to come across initially throwing your services and pricing around. Although I was genuinely trying to help others it didn’t come across that way that time. Needless to say, she didn’t want to work with me. Charging too low a rate makes you seem very inexperienced, although it may seem to you like they would rather have the cheapest, that’s probably wrong. This is their business, they don’t want the cheapest, they just want the best for the price. I did some research on what other virtual assistants charged and took this into consideration when writing my quote for my newest client, the one who I will be signing a contract with. Ultimately, it should come down to your time spent and the knowledge needed to complete each task. Keep in mind the last part of that statement, as charging hourly could leave money on the table. Not every job will be as difficult or complex, so don’t charge all jobs the same. Side note: Virtual assistants can make a lot of money freelance writing for clients online! 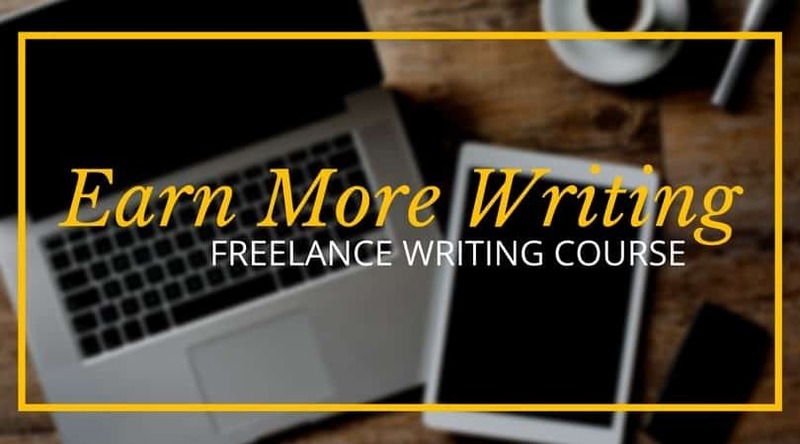 Check out the “How to Build a Six-Figure Writing Career” – Free Workshop to learn how Holly Johnson makes $200,000+ a year as a freelance writer! When building any business it’s important to build trust. For me, I wasn’t looking to become a virtual assistant, but I love the satisfaction of helping others in tough positions, as I know exactly how it can be. Remember, when becoming a successful virtual assistant, first forget about yourself. What do they need? What is their problem? What is their budget? Make sure to keep all of these questions in mind and figure it out before jumping in to what you can offer, and what you will charge. Always remember, if it’s not worth your time, it’s not worth your time. I was offered $20 a month for about 20 hours of work. Yes, I love helping others and understand where this person was coming from as they had a really tight budget, but that was a bit too ridiculous for me. I’m sharing this because when I say to forget about yourself, obviously I don’t mean completely. It would be crazy for anyone to work for a dollar an hour, so I’m not saying to accept jobs like this. What I really mean is to focus on your client and building rapport before jumping to do business. Now, if you’re looking to turn this into your career and truly be a successful virtual assistant, you shouldn’t rely on that method forever. After you begin to land some clients, here’s what you should do. First, if you’re looking to turn this into a career, I suggest starting a Facebook page or website, but don’t focus on promoting it until you land those first few clients. This way, after working with a few people they have a place where they can leave reviews. This will help build trust when you do decide to promote in the future. When hiring someone for a job, you always look at their references, so when people come to you in the future, you want a solid page or site for them to fine, to make them want to hire you. This is important and why I suggest not to market yourself right away. If someone finds you have no reviews, they don’t know if they can trust you. There are always those people who may take a chance, but it’s a lot less likely. Once you have a good foundation, then I suggest learning how to best market your skills to have the clients running to you! 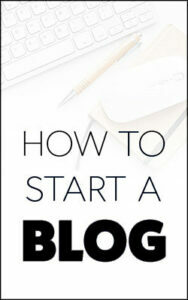 Get your 10 FREE RESOURCES to kick start your Virtual Assistant freelance business here! Always remember rapport. When I look to hire someone, I frequently get messages with a price, a link to their site, and nothing more. I don’t even click the link, I move right on to the person asking me about my business and what I’m looking to get out of working with them, etc. Hello ! My name is Abbey, I am an interior designs student and owner of blissfulldesigns.com. I offer virtual interior design services as well as loads of free advice and tips on how you can design your space on your own! While doing this, I found myself helping others out with their own website troubles and, before I knew it, I was also a part-time virtual assistant.